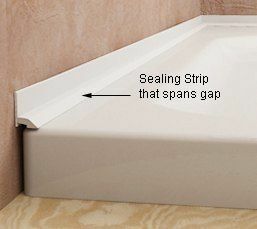 How to Choose a Trim for Sealing Between a Shower Tray and Wall Tiles. Fig.1 In many instances a shower tray or bath can fit tightly against a wall. 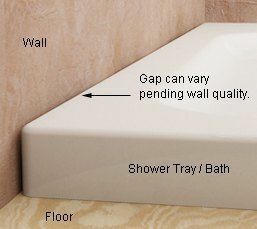 However a common issue when fitting a shower or bath is that a gap (see Gap 'X' on Fig.1) will be present. 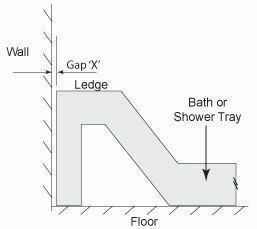 Gap 'X' indicates a void between the shower tray/bath tub that the seal must span. This gap size can vary in size based on the squareness of wall, finish, fittings, etc. 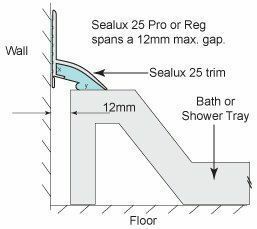 You should choose your shower or bath seal by determining the maximum gap 'X' that has to be spanned/bridged. Fig.2 In this case we see a gap of 12mm has to be spanned between the shower tray/bath and the wall. 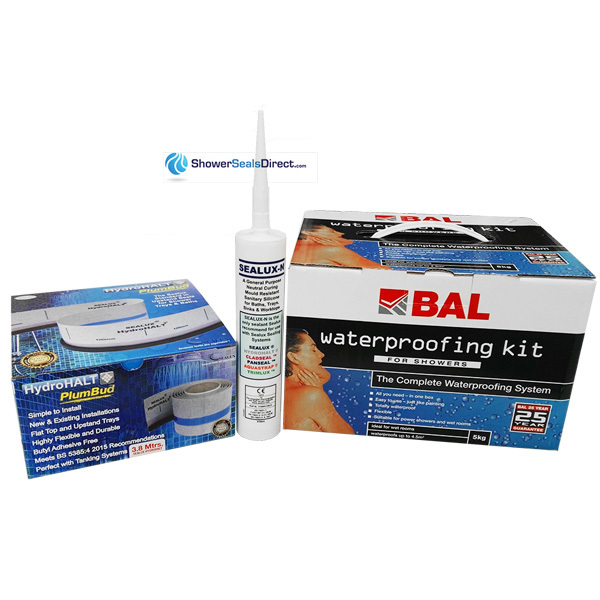 For such a gap ShowerSealsDirect would recommend using either Sealux 25 or Trimlux 25 for such a gap. 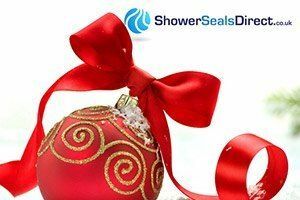 For gap sizes and appropiate trims please see the Uses and Features on the 'Shower and Bath Seals' page.